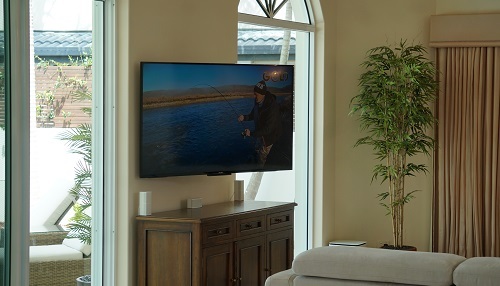 Think you've got what it takes to wall mount your own TV and Soundbar? 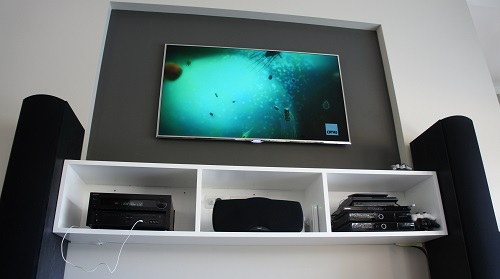 Unfortunately unless you're okay with a lop sided TV and messy cables hanging out it's not just two holes in a wall and away you go. 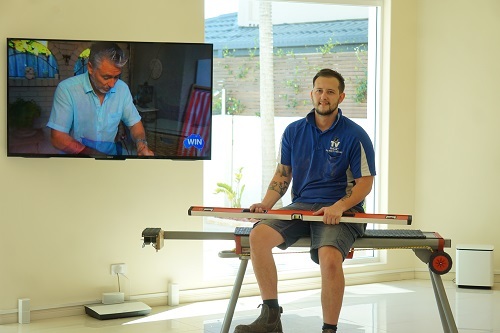 If you're in Ashmore Gold Coast or surrounding suburbs call an expert to help you. 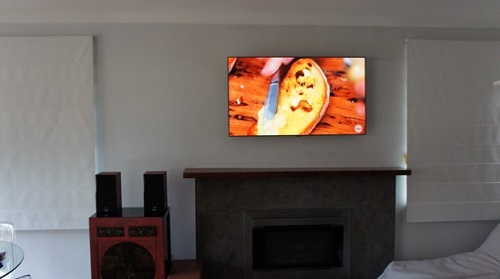 We'll nail the perfect TV wall installation first go! 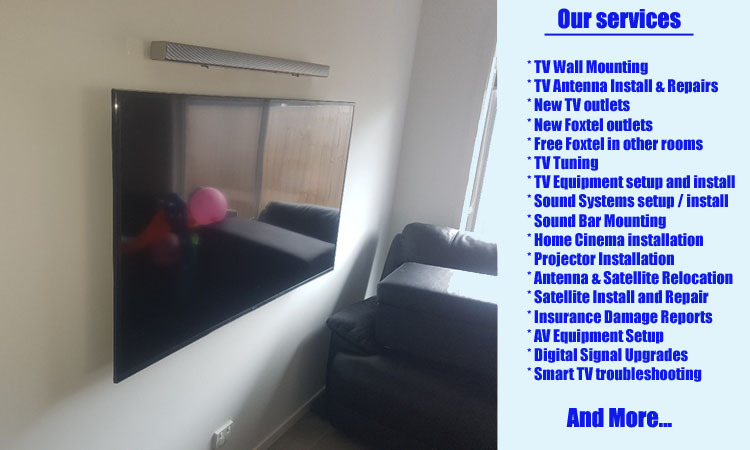 Very neat, and very professional. 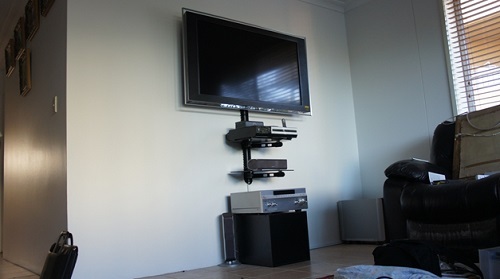 Remember, you get what you pay for, beware of handymen or Electricians who think they can wall mount TV's. 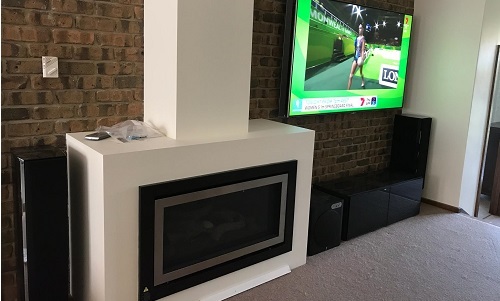 Builders and electricians are forever installing TV points and power points up high in participation of you wall mounting your TV however nearly always these wall plates are in the way of the TV wall bracket preventing you from putting your TV where you want it. 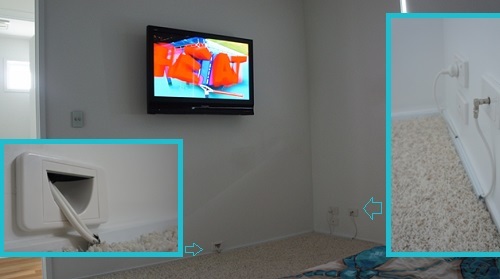 They also get in the way of the TV fitting flush to the wall, the power point plug and antenna sockets stick out unnecessarily too! 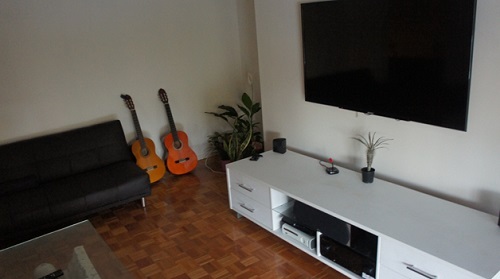 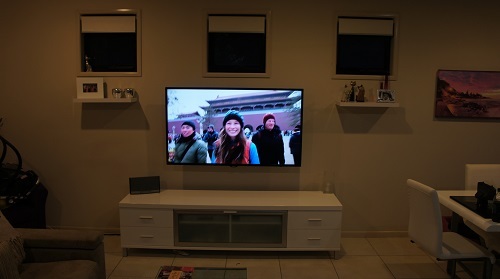 The best thing to do is to wall mount your TV first and then plan your TV outlets and power points around the space left so they are in their optimal location. 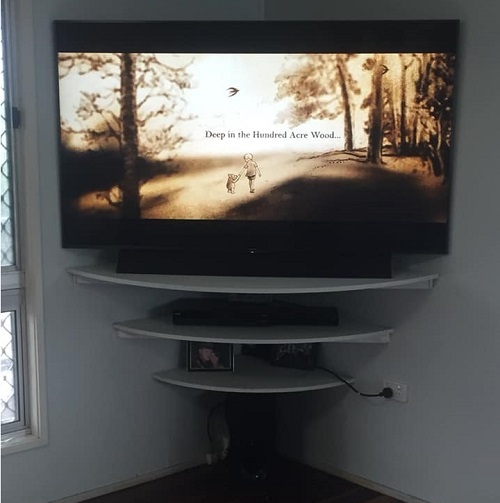 Nearly all the time we're able to run the power and tv antenna cable through the wall to out of sight sockets behind your TV cabinet and you don't even need the power and antenna socket up behind the TV. 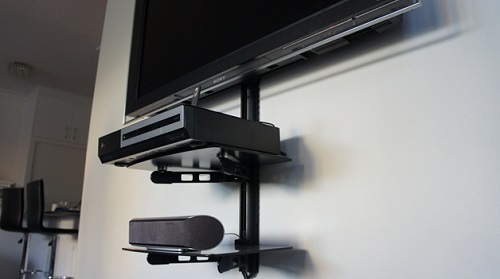 Most builders, electricians, handyman don't carry a range of brackets and hardware with them to deal with the often unique wall structure of your home and can't mount the TV in the position you want it safely. 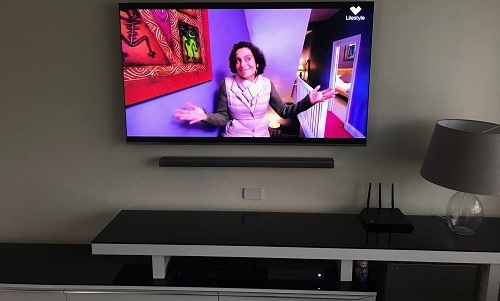 Many TV wall mounting amateurs make the mistake of fitting cables that are not long enough, you really need 3m long HDMI, antenna cables etc. 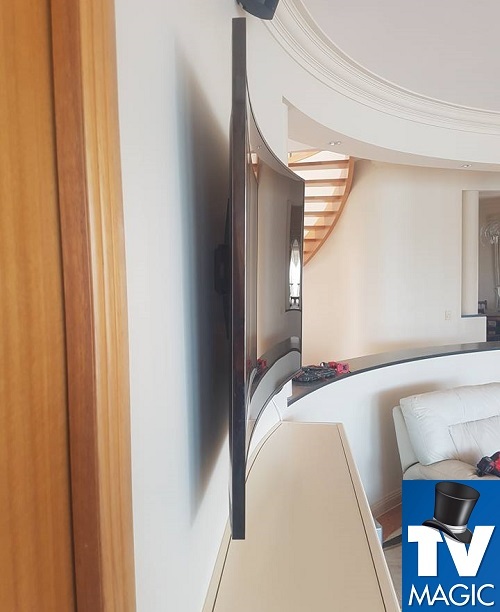 so they are a useful length down near your cabinet, just a "they will just reach" length, which is a pain for everyone in many circumstances. 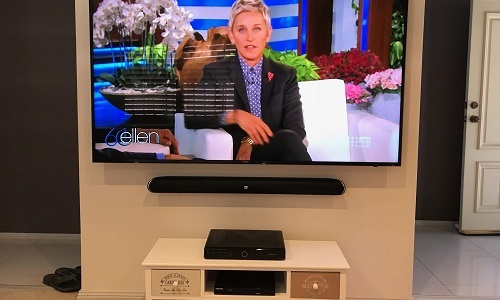 Many Sound bar wall mounting amateurs don't realise the skill involved in being able to get these dead level with the TV and most importantly being able to discretely hide all the cables between the TV and the wall unit back up and out to the sound bar. 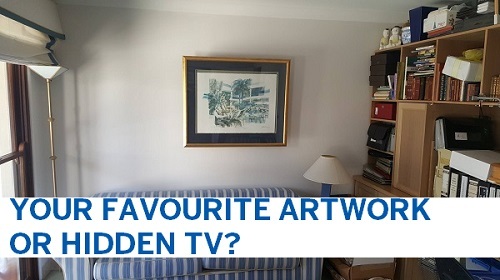 This requires professional depth of vision and experience to get it right first go. 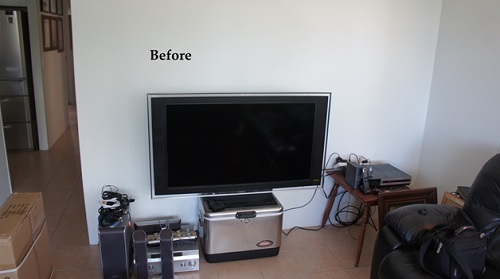 An amateur mistake makes a huge mess! 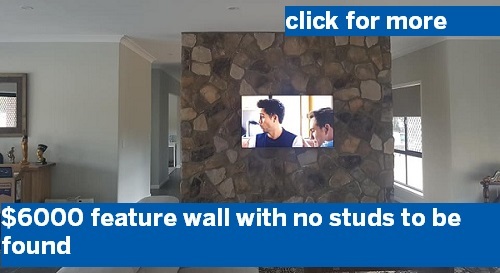 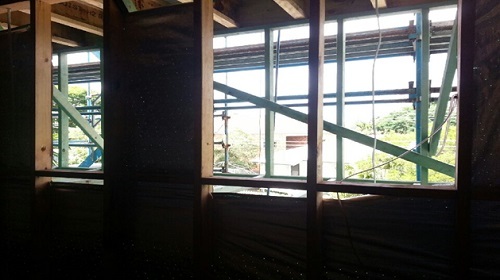 Many times I've found behind a TV wall mount huge unnecessary holes in the wall from inexperienced installers not knowing where the studs are and how to get around them. 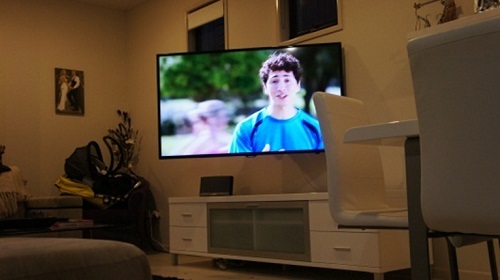 It only takes 1mm of being "off level" to throw a large TV way out of level at the other end. 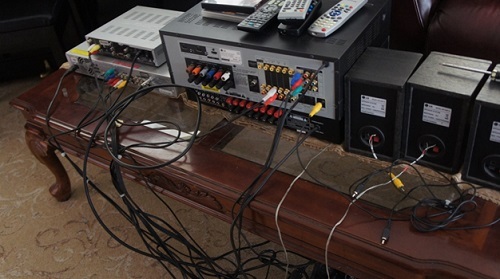 It's a pretty tricky issue to resolve if you're not experienced. 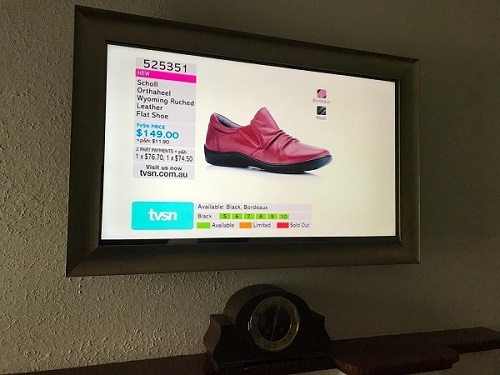 Incorrect brackets are often used by amateurs which do the job but take a 5 star finish to a 3 star finish and they're none the wiser, not even the customer. 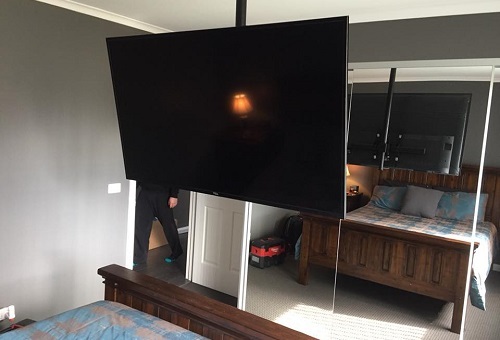 Sometimes I've found large heavy TV's unsafely mounted on arm brackets on thin metal studs, this is disaster waiting to happen! 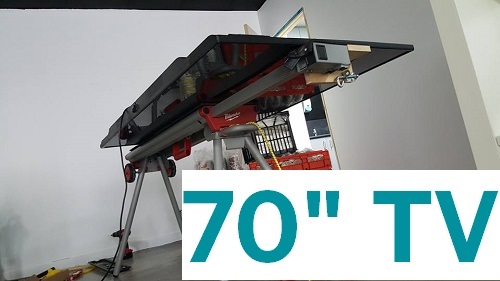 Do not do this! 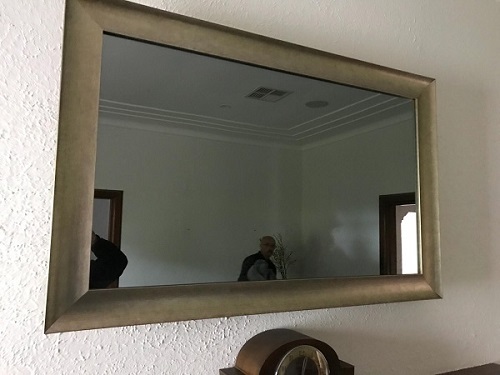 It will rip out of the wall. 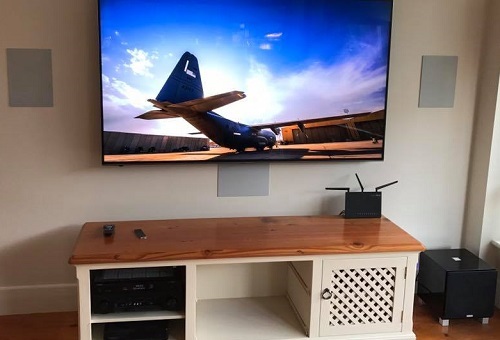 Occasionally I've found handyman workmanship where they haven't even secured the tv wall bracket to the studs and have used plaster screws which have ripped out! 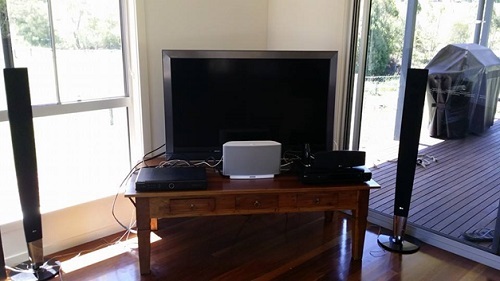 Other trades don't know how to setup your TV and show you have to use it when they are done leaving you with a half finished product! 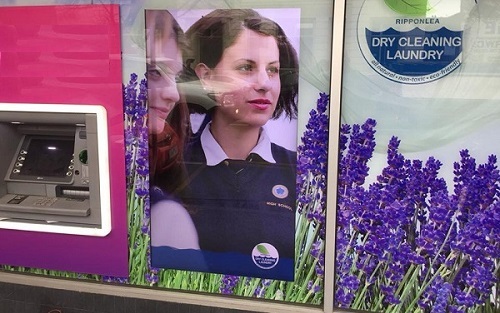 Not cool. 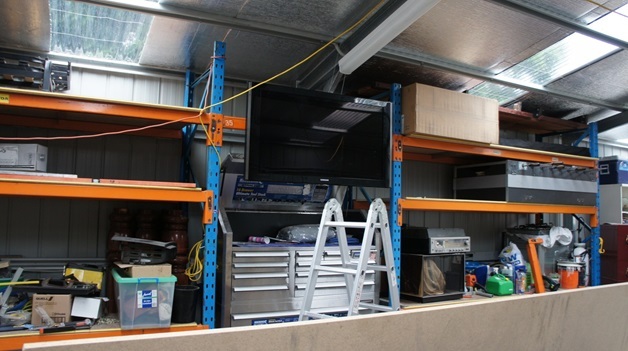 They don't use quality stud finders and leave practice holes galore! 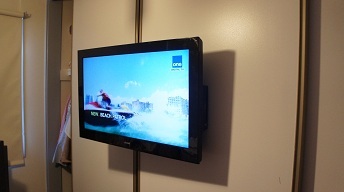 As mentioned above, leave TV wall mounting and Sound bar mounting and installation to the experts. 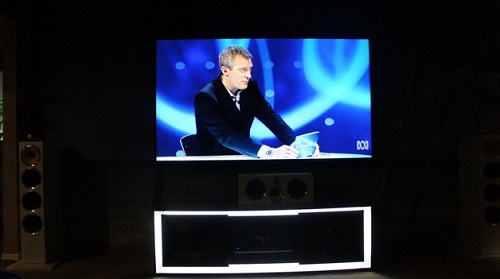 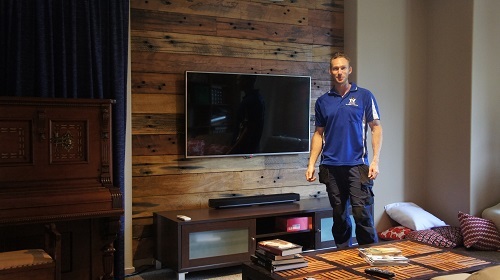 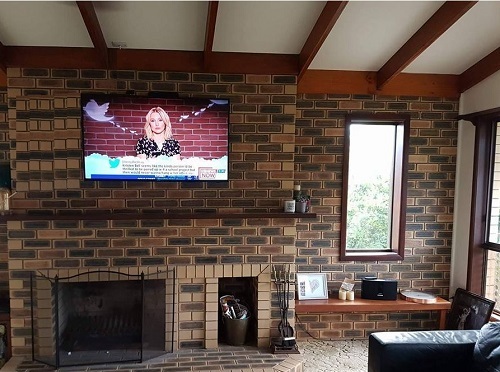 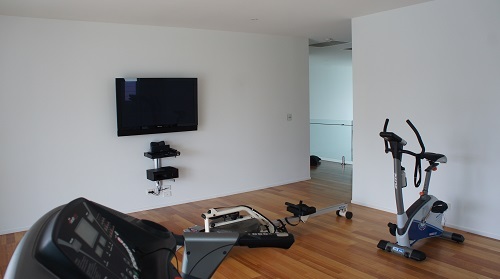 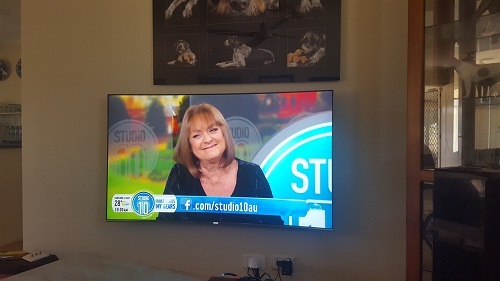 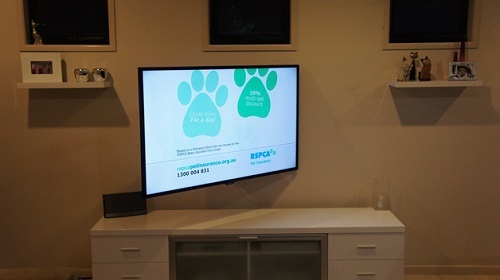 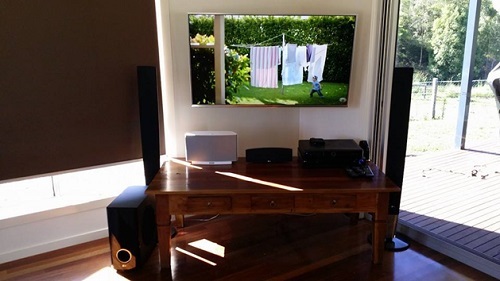 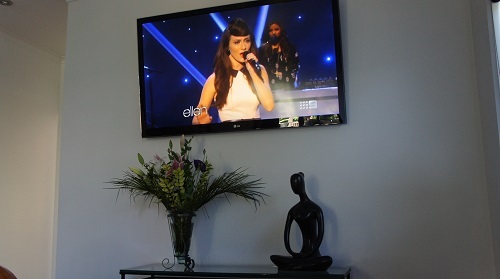 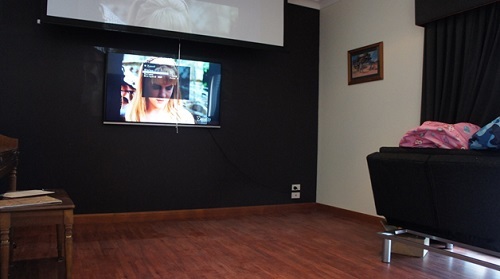 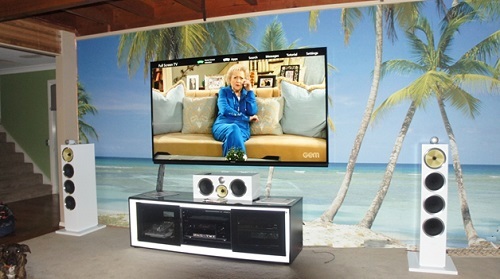 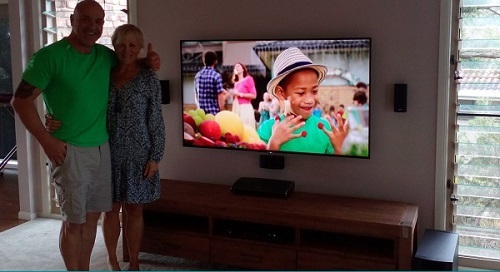 Peter from Ashmore Gold Coast engaged TV Magic to help him mount his two 55 inch Sony TV's. 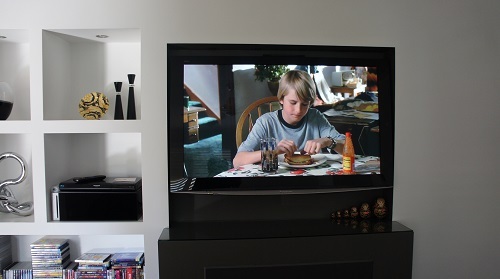 One of the TV's Peter wanted flat on the wall and all the cabling appearing behinf his cabinet ( a common situation). 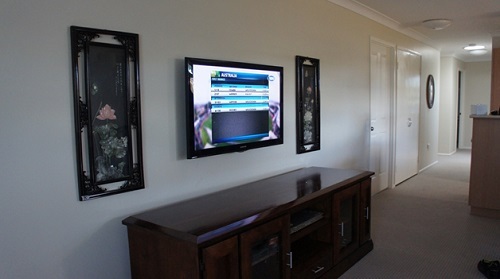 The other TV Paul wanted mounted with a full motion bracket so he could swing the TV out and watch it from the kitchen and the loungeroom. 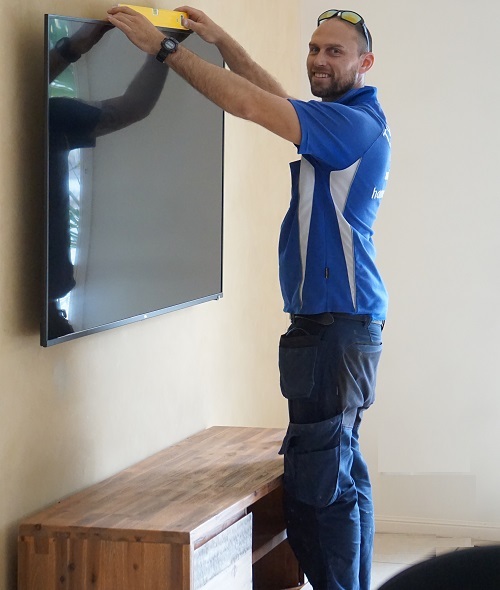 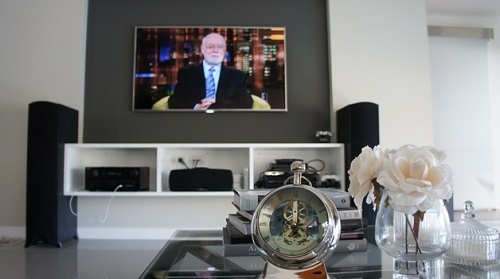 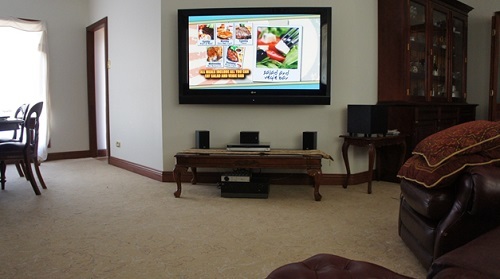 Both TV's went up smoothly and Peter was very happy with our TV installation work. 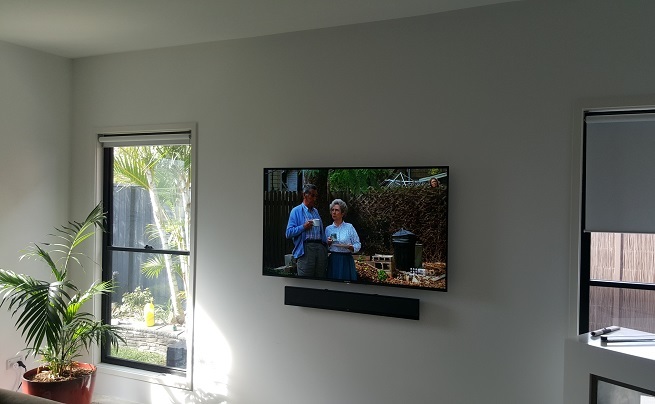 Do you need help Wall Mounting your TV or Soundbar? 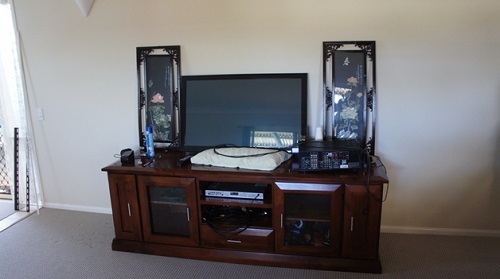 Dan's the man, anything TV or Antenna related call 0488 899 849. 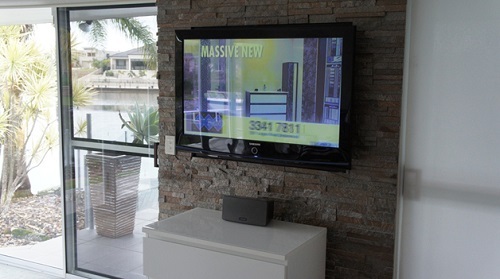 We service the whole Gold Coast and Tweed Area with local TV technicians.